Much of the work done and presented so far on these pages is actually prototyping; terrain features and add-ons hand-produced and designed. However, to really enter a streamlined production of multiple boards, I needed to take these a step further. 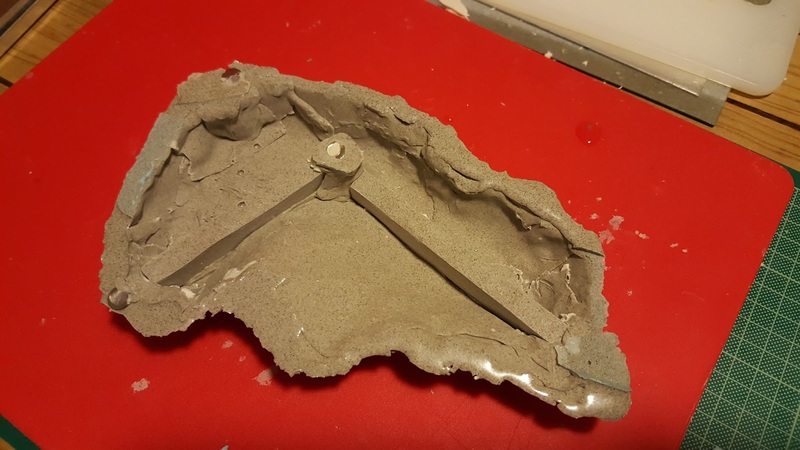 Therefore, I have had to create molds of the main features which are repeatedly found on the tiles, or are magnetically connected as add-ons. This is not a simple process; that is, to select the best and cost-effective way to reproduce various features. 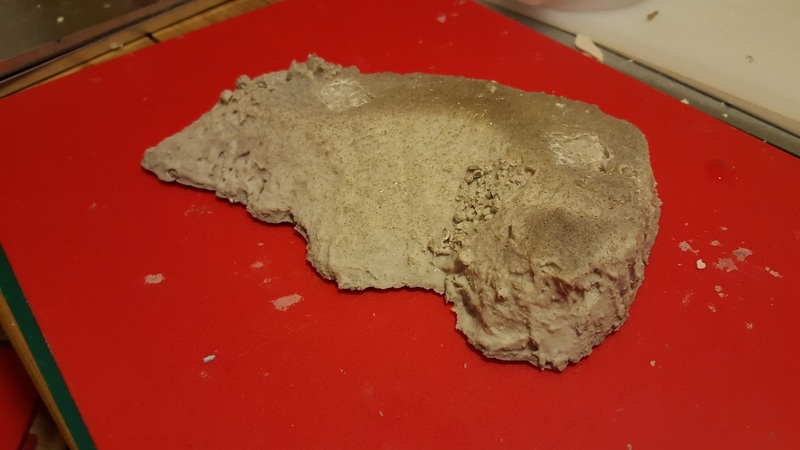 One of the first parameters is that reproduction by casting can actually replace hand made articles, both in quality and in cost. 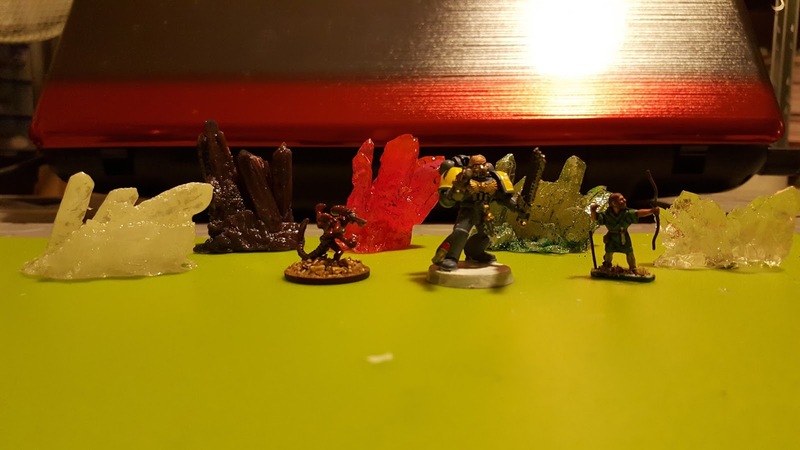 You see, I really can sculpt hills, rocks, tree bases etc in a short time and from low-cost and extremely lightweight mediums. So the castings should be "worth" as much. Also, the creation of molds is a big investment. The success of the Kickstarter campaign and the number of orders was such that provided the funds needed for such molds - but not on an industrial, tens-of-thousands copies level. 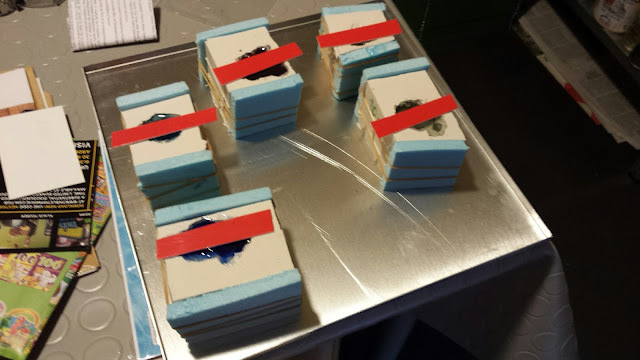 So, I selected the more robust and small-industry solution of creating my own professional silicon molds for resin copies. For this I used the exceptional Dow Corning's 3481, for multiple resin copy production. Then came the selection of casting materials. 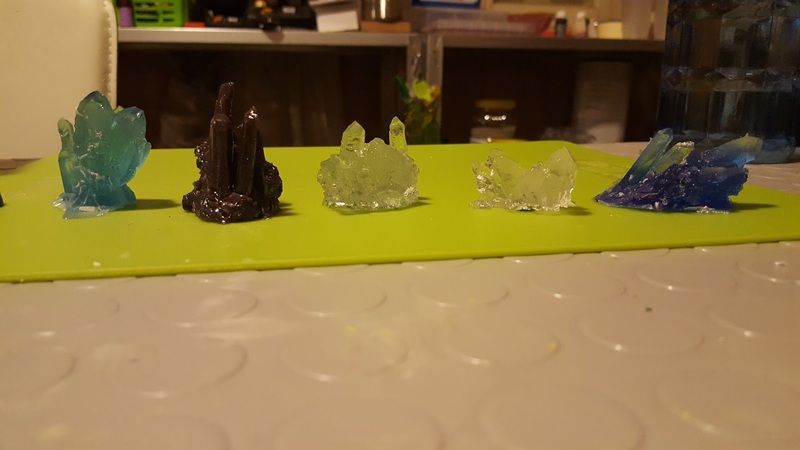 For the Sci-Fi crystals, I had to choose a clear resin that could be dyed, and have good UV resistances; My choice so far goes to polyester epoxies. As for creating copies of modular add-ons, I went with two-part epoxy resin, mixed with additional powder for lowering the specific weight of the final medium. 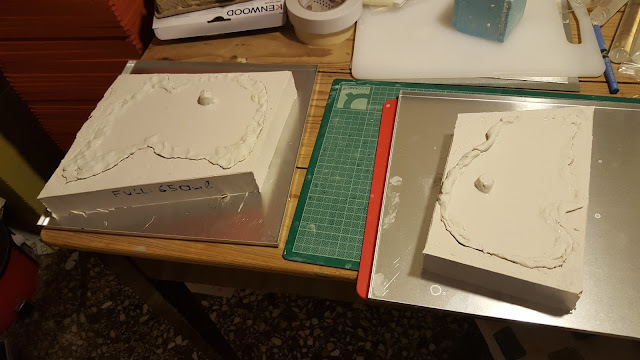 Also, I started making the molds "hollow", so that the final castings would be lighter. On fixed features, sometimes I use gypsum instead of resin, due to ease of use. 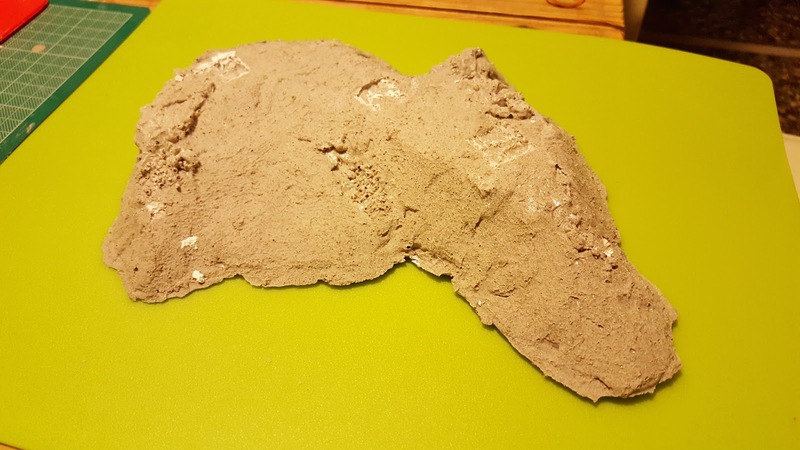 However, since the tiles must have high resistances, I use the special Giluform mix that acts like Hydrocal but with significantly increased hardiness. But enough of talking; let me show you some pictures of the stuff I have been making! 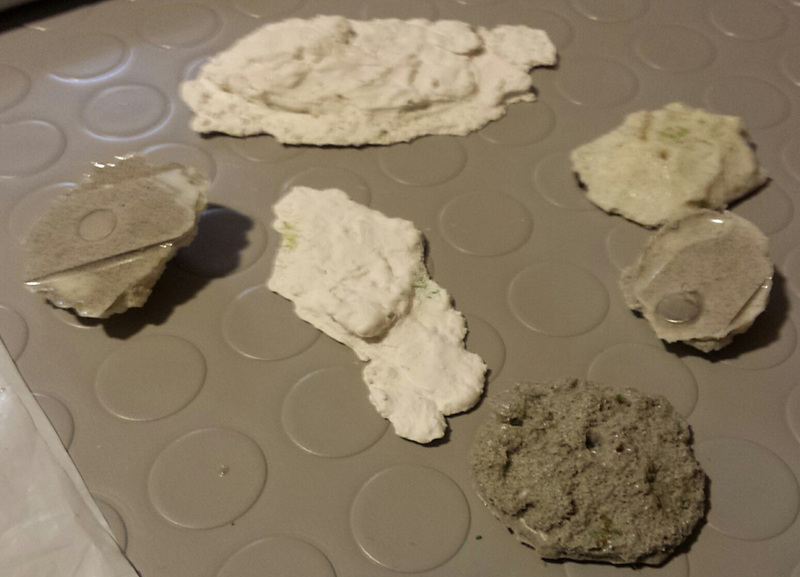 Especially for the Sci-Fi Crystal formations I did not sculpt the originals myself, but selected a more realistic approach: I used real Quartz Formations and Quartz "Needles" which I combined into several futuristic shapes; and boy, are these stones pricey. But I am extremely pleased with the result as now Pedion can sport a great variety of good looking and "realistic" Sci-Fi crystals, which of course have a magnet embedded into the polyester! Two other pieces I will be needing great quantities of are tree bases and rocks for the broken terrain and forest tiles. In the pictures you can see the rocks made from Giluform, while the tree bases are made from resin (for durability) with embedded magnets. Finally, I moved on to larger pieces. The first challenge I tackled was the add-on hill pieces, the ones you get when you order a hill tile. For those of you who do not remember, you can use this add-on piece either on the first hill to create a second level, or as a stand-alone hill someplace else on the battlefield. 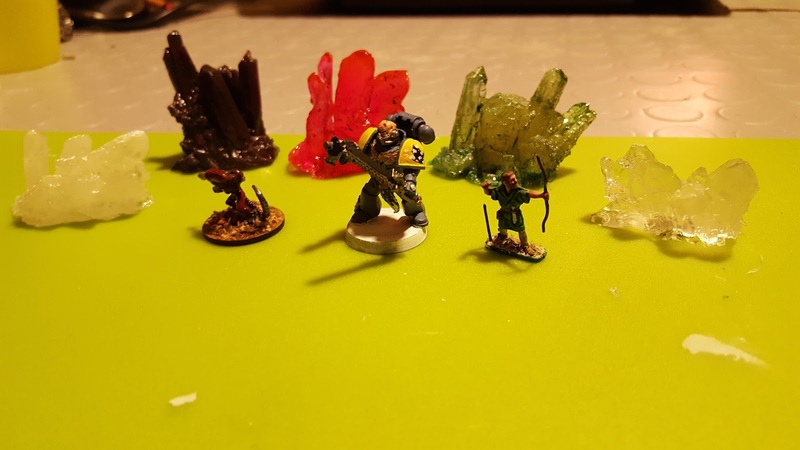 These pieces needed to be made from resin (to withstand lots of handling), to be hollow in order to be lightweight, and to be sturdy so they won't cave in when you put miniatures on them. And my molding efforts continue: the larger hill pieces, sidewalks for urban roads, large rocks for badland tiles, even whole tile sections for the coastlines. I hope to have more photos soon.